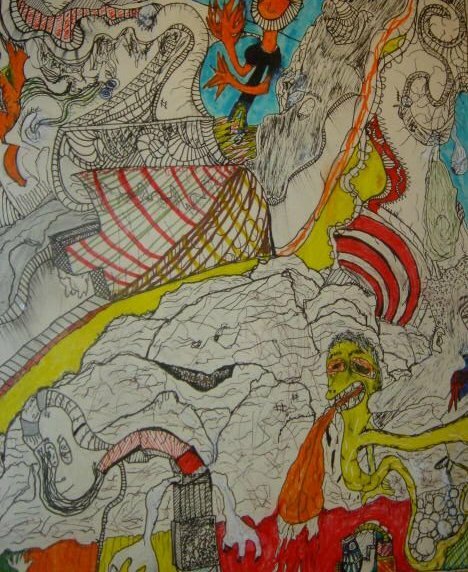 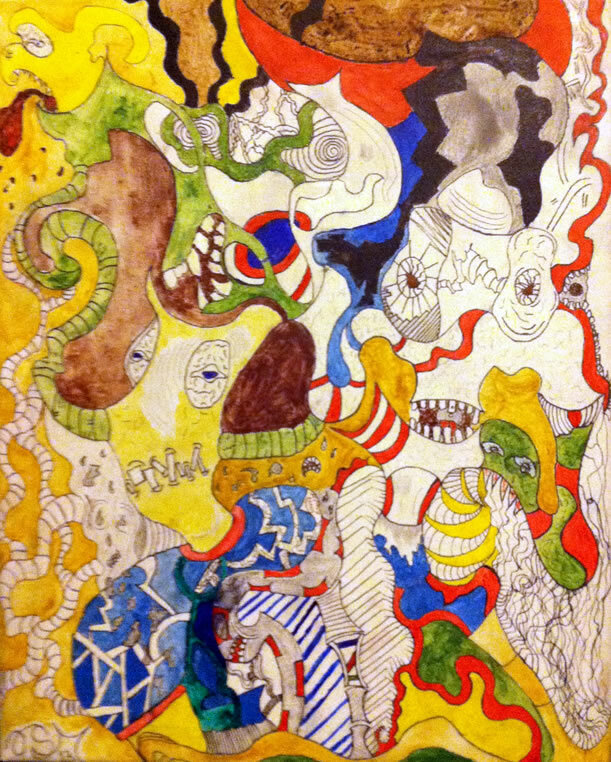 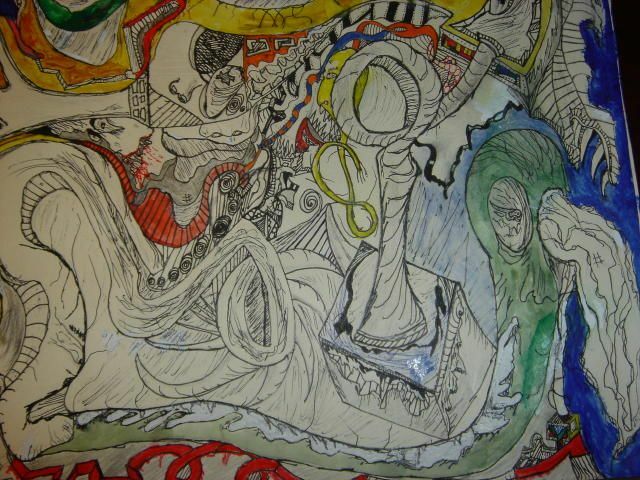 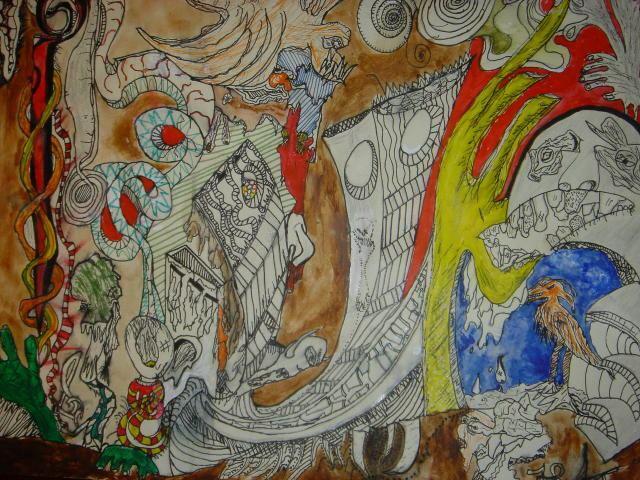 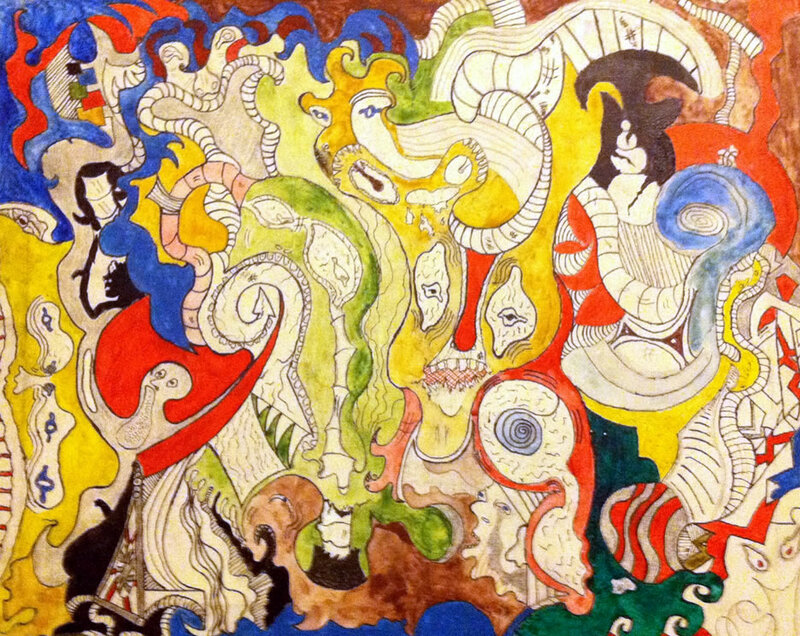 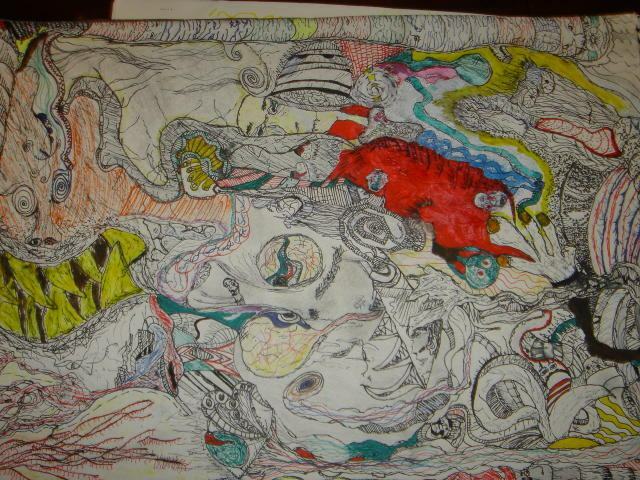 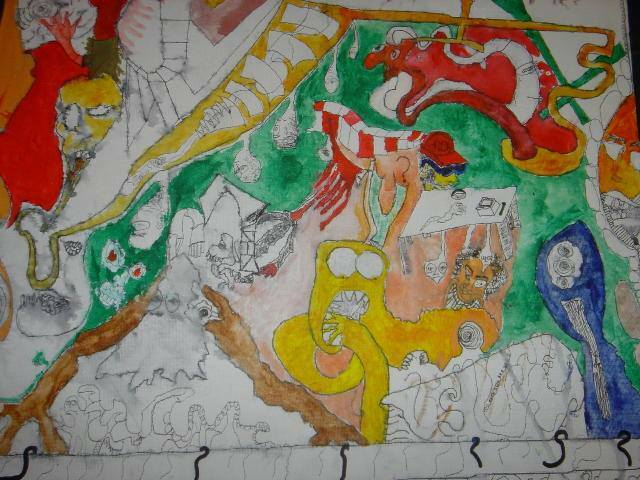 Alex Marshall an aspiring musician and outsider artist, suffered a traumatic brain injury at the age of nineteen. 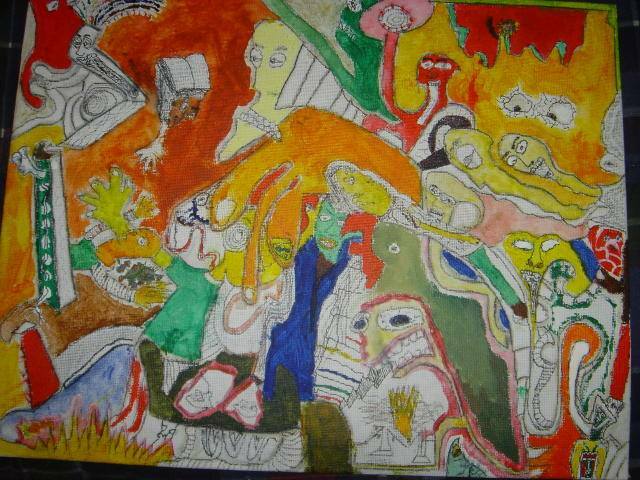 Because of the many residual effects which include short term memory loss, he has had to relearn his artistic talents. 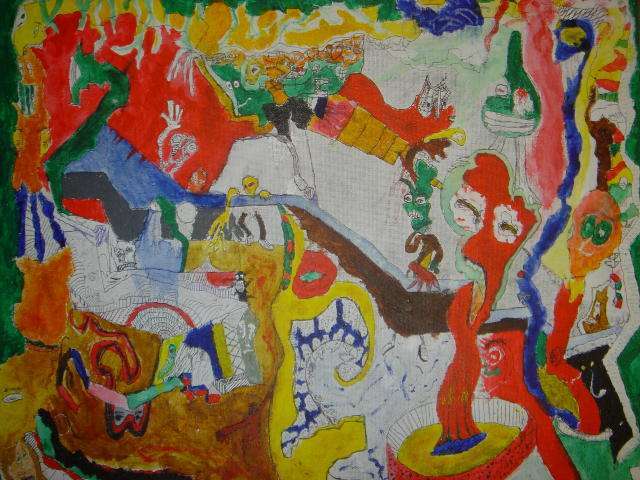 From this artistic transformation has developed a visual language in which "chaos" dominates the canvas. 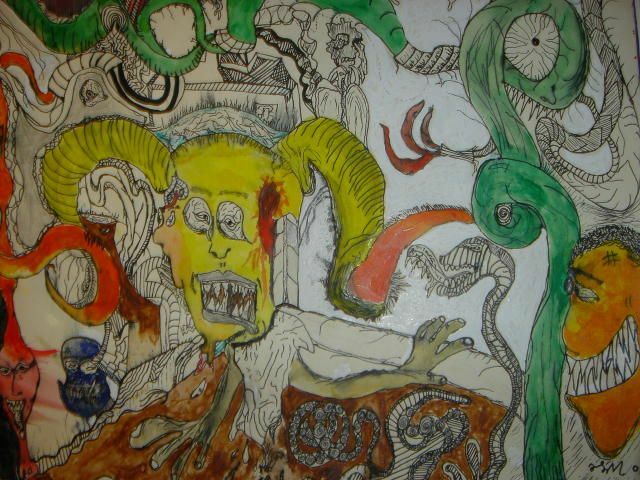 This is achieved by smeared pigments and figures that are slightly grotesque and worn down, no doubt a reflection of the trials he has faced in his life.